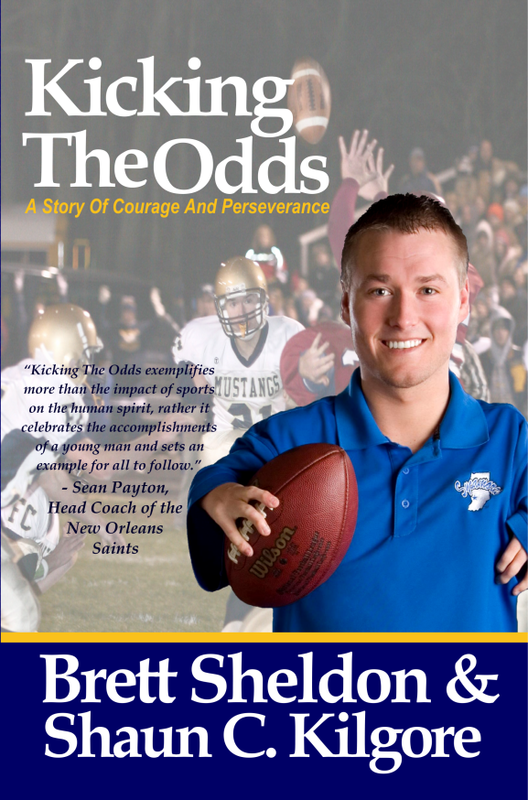 Founders House Publishing is happy to announce the upcoming release of its newest title, Kicking The Odds, the story of Brett Sheldon. Co-authored by Sheldon and Shaun C. Kilgore, this book is a story of courage and perseverance. You'll be inspired by Brett's brave attitude and determination to overcome the obstacles that have been put before him in life. The book is scheduled for a April 27th release. A launch party is planned locally for those interested in attending. You can find a Facebook event page HERE. If you haven't already, please check out the video that Brett made wherein he demonstrates the many things he can do despite his birth defect. CLICK HERE to watch it now. 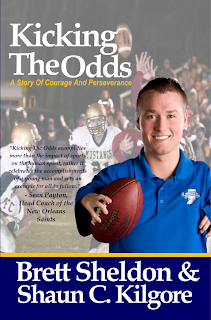 "Kicking The Odds is the story of Brett Sheldon, a young man born with a birth defect that left him with short arms. In it, he talks about growing up, learning to overcome the obstacles and preconceptions of others, and how he excelled in athletics and in life. Brett gained notoriety as a high school football kicker going so far as to break his school's kicking record. He also received other acolades and awards for his roles in various sports. Then he moved on to college football, first playing for Franklin College then was forced to sit out of the game while attending Purdue University. After a year away from football, Brett received national attention as a walk-on for Indiana State University's football team. Soon after, Sheldon appeared on the nationally syndicated television program, The Dr. Phil Show. Kicking The Odds is an inspirational book, a story about seizing opportunities when they come and knowing that it takes determination and strength of will to succeed. Brett's story is one of courage and hope."